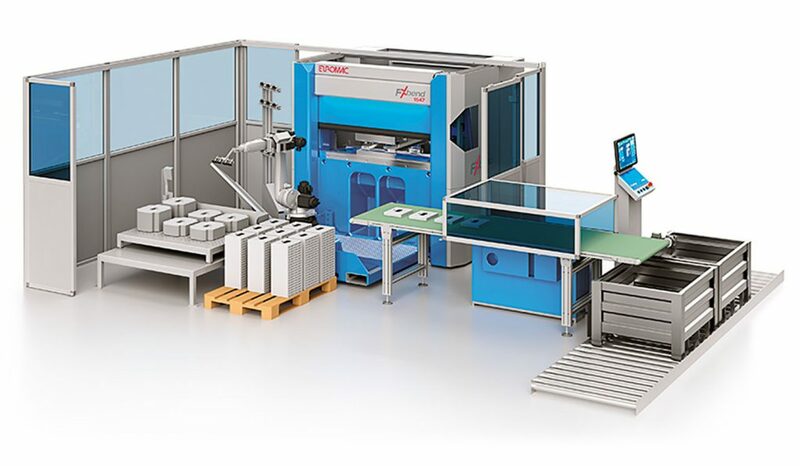 Cell for small and medium sized pieces with a high production capacity. Innovation, because the force of the gauge is in extension during the folding, with the result of having a greater resistance and a greater precision in the machining. Reliability, because thanks to the monobloc structure Meehanite is extremely robust compared to any other assembled structure. High-level productivity thanks to the 4 and 6 axis stops, fully automatic and with independent movements. The realization of several elements in carbon fibre reduces the weight of the indexes that allow reaching speeds of up to 1000 mm / sec which together with high decelerations guarantee maximum productivity. Resistant to water and dust (IP65). Up to 9 hours of reserve battery power. Impact force corresponding to a fall from 90 cm, tested at the Panasonic factory.